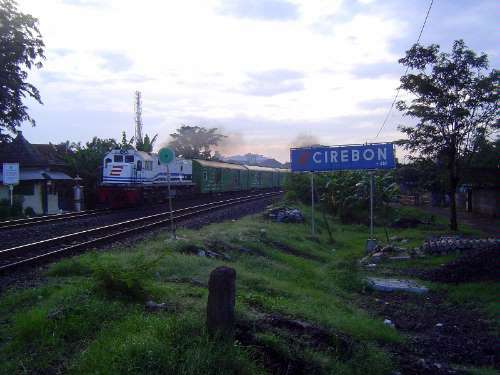 Cerebon (pronounced Chair'ebon) lies about 125 miles east of Jakarta and has about a quarter-million people. Early in the morning, Mt. Ciremai lies apparently tranquil. 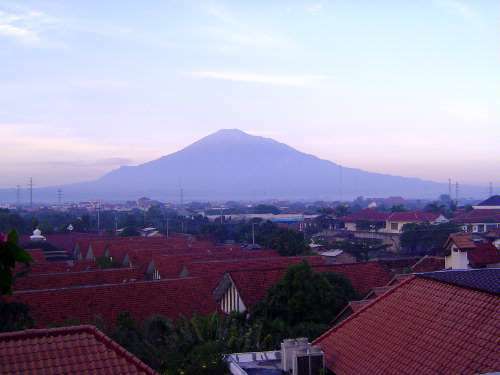 At just over 10,000 feet, it's the highest mountain in West Java. 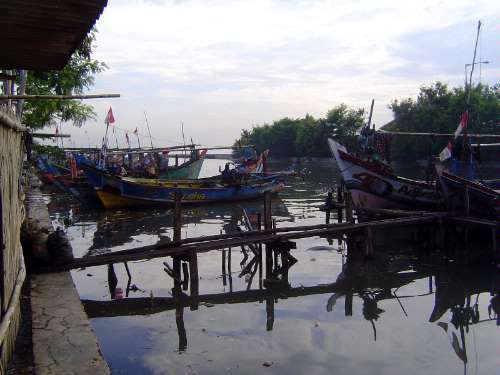 We're on the coast and so there's a fishing village. Behind the barbed wire and lit by those tall poles, however, there's a port unloading over three millions tons of freight annually, mostly domestic coal used by local cement factories. 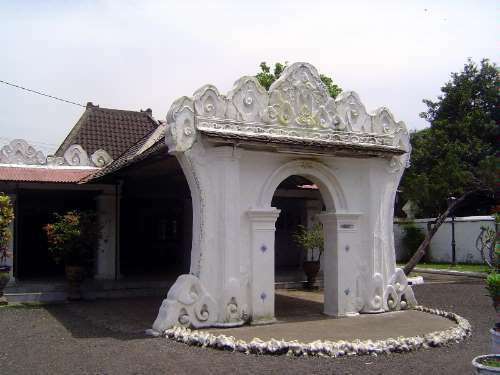 The entrance to Kratan Kasepuhan, the palace of the Sultan of Sepoeh. 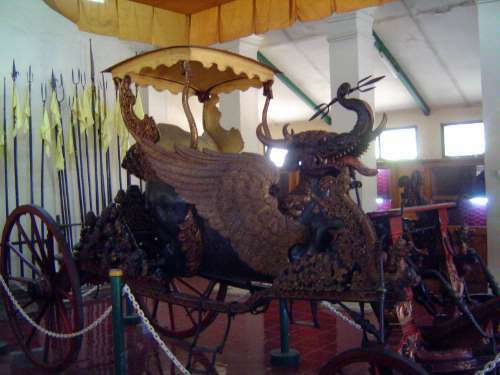 His carriage, which puts the sultan on the back of Garuda, Vishnu's mount. 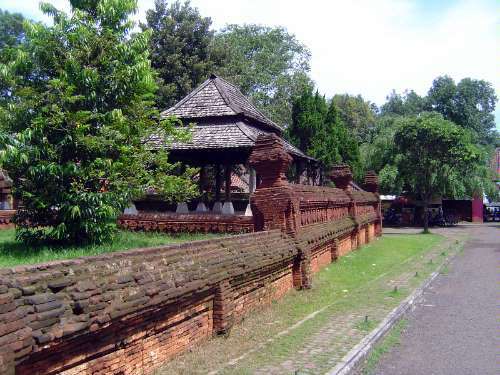 The palace wall. The lower courses are laid almost without mortar. 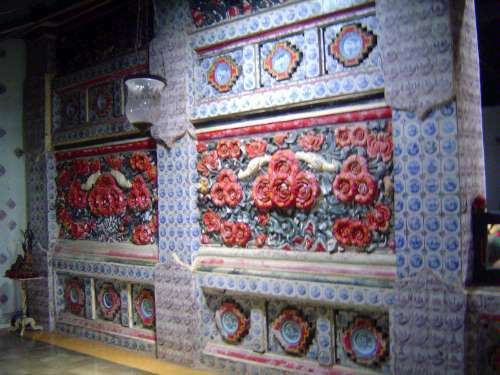 Some of the interior palace walls are trimmed with fragments of Chinese porcelain. 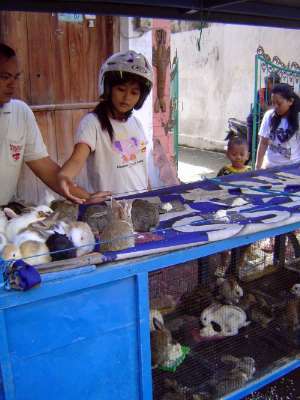 The local skill is woodworking, however. 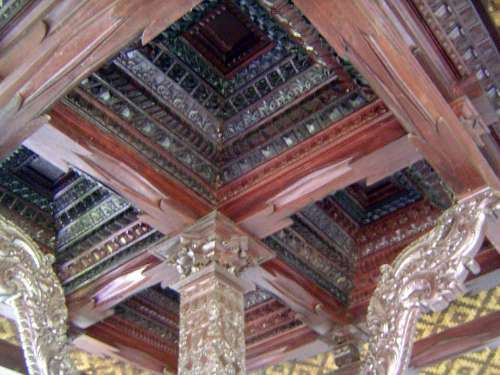 A coffered or caisson ceiling. 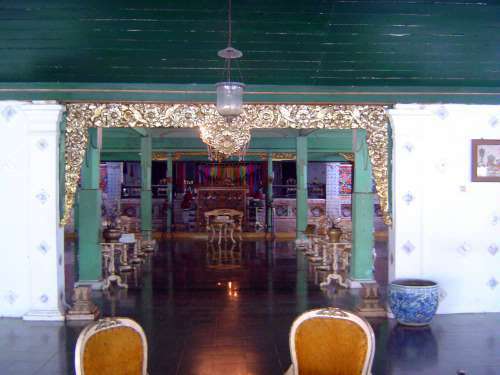 The axis of the palace is not straight. 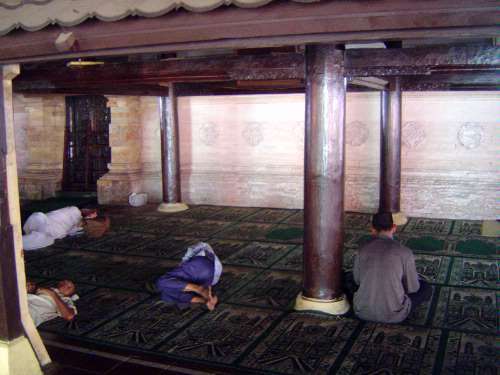 The misalignment is deliberate and related (somehow) to the qibla, or direction of Mecca. 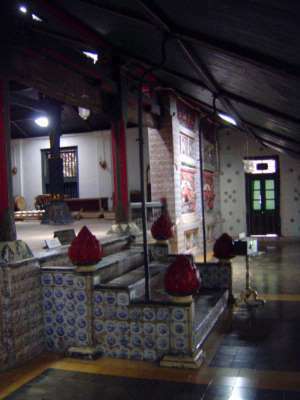 The approach to the throne. 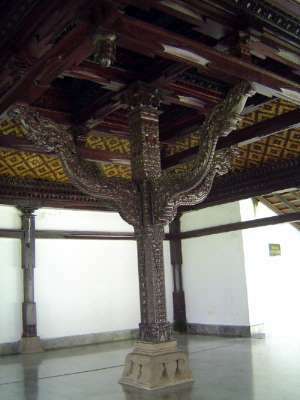 An adjoining mosque, part of the palace. 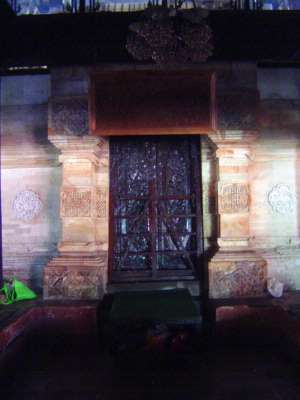 The prayer niche or mihrab. 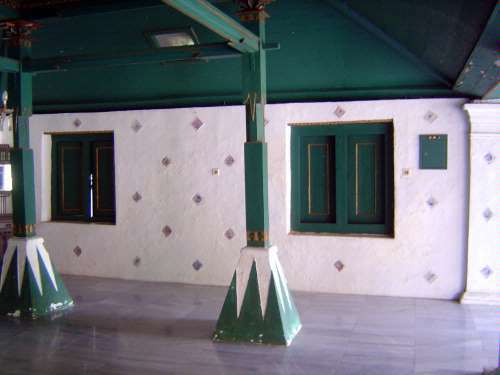 A screen in front of the mihrab. 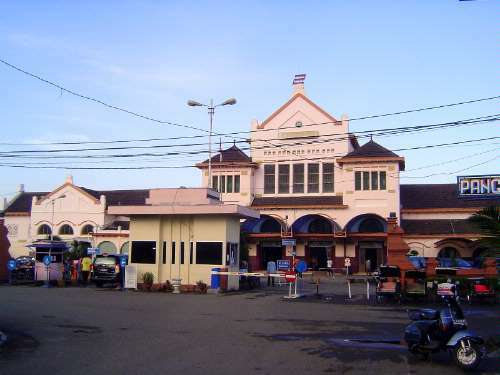 Just outside the palace is a much larger mosque, the Masjid Agung Sang Cipta Rasa. 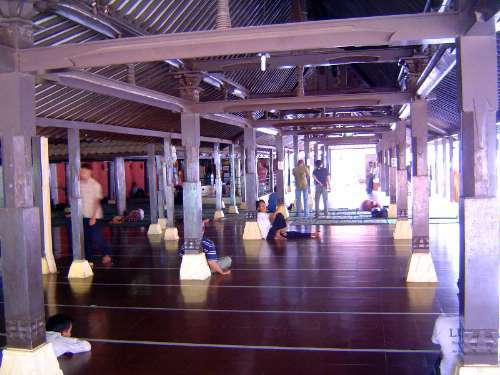 Like so many other mosques, it is a social and recreational space as much as a spiritual one. 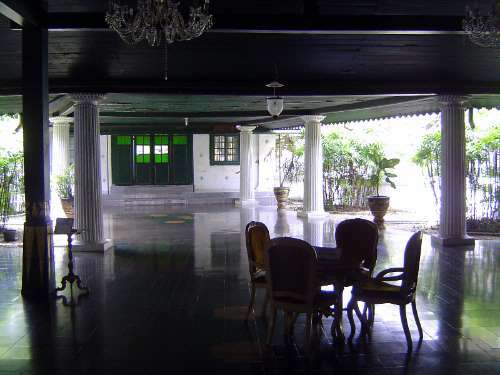 The West arrived with the VOC or United East Company, which established a port here in 1865. 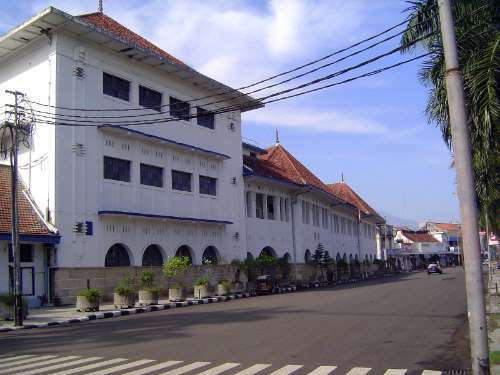 The most important industrial establishment was the cigarette factory opened in 1924 by the British American Tobacco Company, the maker of Dunhill, Kent, Lucky Strike, and Pall Mall cigarettes. In 2010 the company ceased production here as part of a global consolidation. 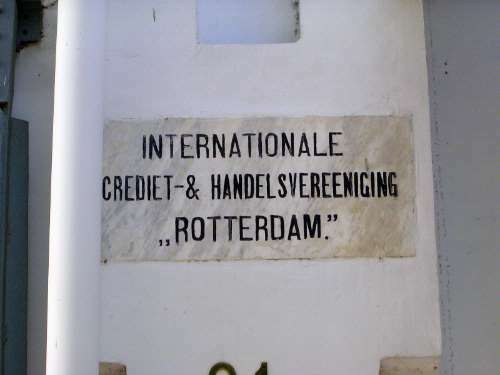 The Dutch established banks, too, like this one from 1863, the Rotterdam-based International Credit and Trading Association. 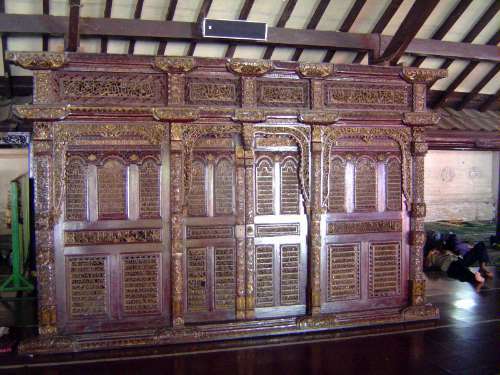 Despite its name, the company did not involve itself much with credit for plantations. It did serve as the agent for the shipping line Rotterdamsche Lloyd. 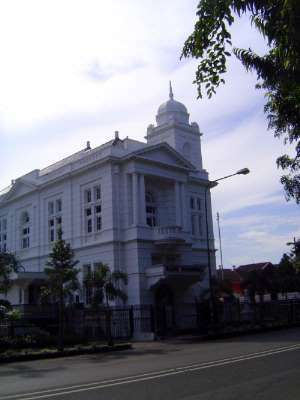 The Bank Mandiri is housed in a building from 1930. 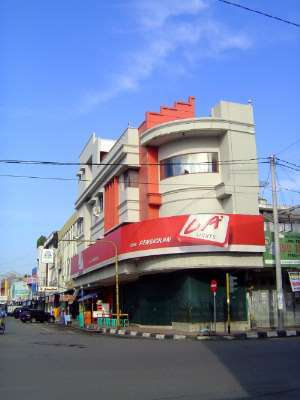 The bank was formed in 1999 to replace a number of failed banks. 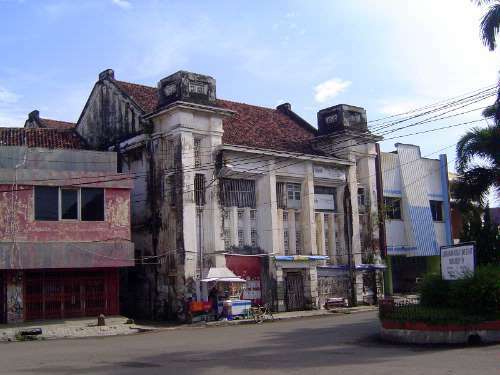 One of those banks was the Bank Dagang Negara, formed in 1960 when the original occupant of this building, the Nederlandsch Indische Escompto Maatschappij, or Escompto Bank, was nationalised in 1960. 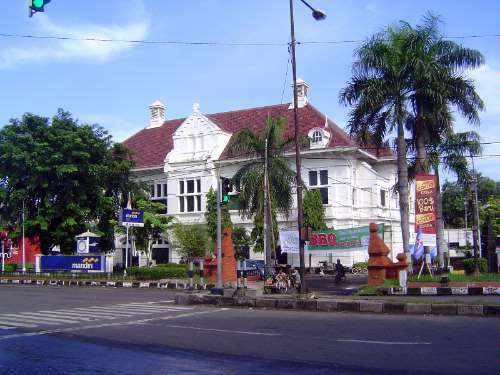 The former Javasche Bank, built in 1921. 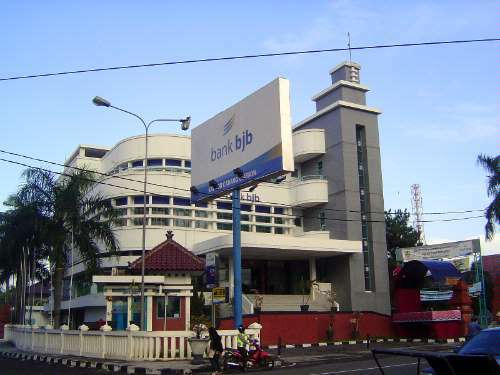 The bank, which functioned as the Dutch central bank, was reorganized as the Bank of Indonesia in 1953. Yet another bank, this one in a slick Art Deco building. 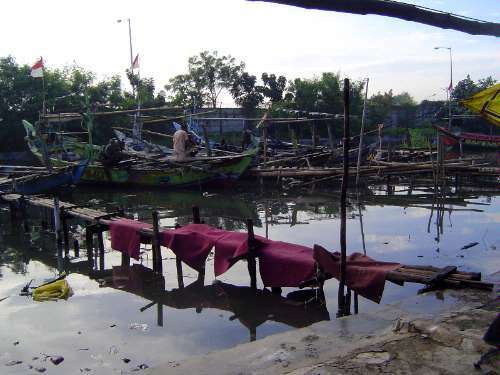 All these banks raise the discouraging point that Transparency International Indonesia in 2010 ranked Cerebon, along with Pekanbaru, as one of the two most corrupt cities in the country. Cerebon was "filled with cases of corruption," it reported. 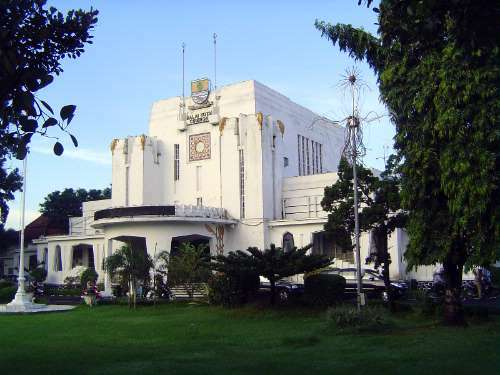 The town hall is another Deco creation, in this case with a raw concrete finish. 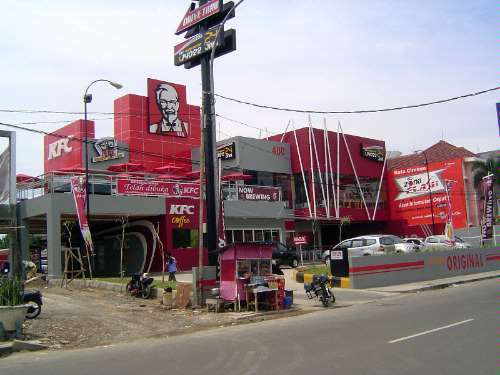 Moving right along, the biggest KFC you've seen this week.